It appears that the Sunday Times, in an effort to bring to the fore the urgency of the need to get real about the harmful effects of grand corruption in SA has rewarmed and perhaps embellished a diplomatic memorandum that was first presented to officialdom last June in a manner that does not comply with diplomatic protocol in that it is alleged that they directed the memo directly to the presidency instead of via diplomatic channels. Be all that as it may, the issue is not one that will go away and it is one that needs to be addressed pro-actively and expeditiously. The questionable journalism involved in the manner in which the story was broken will be forgiven if it prompts a proper response from government. According to the report, the diplomatic representatives of the US, UK, Germany, France and Switzerland have collaborated, outside the usual channels, to warn SA that our culture of impunity for grand corruption, kleptocracy and state capture must end. The business community, and indeed all peace loving citizens, owe a grateful vote of thanks to the “great powers” for their timely intervention whether it was or was not in accordance with diplomatic protocol. There is little doubt that rampant corruption is destructive to the point that it has the potential to make SA fail as a state. There is no peace in failed states, as we have all observed by looking over our northern border to the parlous state of affairs in Zimbabwe, where the rule of law and constitutionalism is all but dead. It is instructive to compare the situation in Zimbabwe with the peace, progress and prosperity that reigns in Botswana. The essential difference between the two neighbouring countries, with similar histories, is that constitutionalism is intact, indeed flourishing, in Botswana and in tatters in Zimbabwe, where civilian protesters are gunned down in the streets by the security forces of the regime. It is one thing to encourage SA to clean up its own act around corruption and quite another to devise a means of doing so. We are now a sufficiently mature democracy to devise a solution ourselves rather than have one imposed on us by the International Monetary Fund as the condition upon which loan finance will be made available to avoid failure as a state. The great powers have a role to play in helping the powers that be in SA toward a constitutionally compliant solution to our corruption issues. Their own self-interest dictates that restoring SA to constitutional health is the best way forward in Africa. It is the surest way to stem the tide of governmental failures elsewhere in Africa. It is a good way to promote investment in SA and a means of reversing the flow of economic and political migrants out of Africa. Forced migration is highly detrimental to all concerned: the migrants, the receiving countries and the chances of recovery of the countries from which people flee. South Africans know all this well due to the millions (with more to come) of Zimbabweans who seek solace and shelter in SA. How then should the great powers go about helping SA back into the family of successful nations which owe their success to their fealty to the rule of law and a no tolerance attitude towards corruption? Germany, for example, was able to come back from defeat in WWII to be the leading country in the EU today. This in no small measure was achieved by embracing constitutionalism and working hard to realise its goals. A good start can be made by acquainting ordinary South Africans and their political leaders with the effect and consequences of corrupt activities in high places. Corruption is a human rights issue. The corrupt wantonly divert public funds to their own use, thereby robbing the poor of the delivery of services which could and should help lift them out of poverty. When the poor realise that the use of public finances has been plundered by those in power with the effect that service delivery in the form of housing, schools, clinics and social services of all kinds is ham-strung by the diversion of funds away from legitimate purposes toward the nefarious schemes of the corrupt, they may behave appropriately on election day by voting for political parties with a strongly viable and attainable anti-corruption manifesto. All political parties in SA pay lip-service to clean governance and a corruption free future. The “how to” of delivery of anti-corruption promises is either emaciated or absent in all their manifestos. The great powers ought to sponsor study groups for parliamentarians so that they are better equipped to make the laws needed and to exercise oversight over anti-corruption entities in SA in a manner that renders them effective and efficient. A way has to be devised to escape the consequences of the current anti-corruption entities being hamstrung by their own capture or partial capture by the forces of darkness. 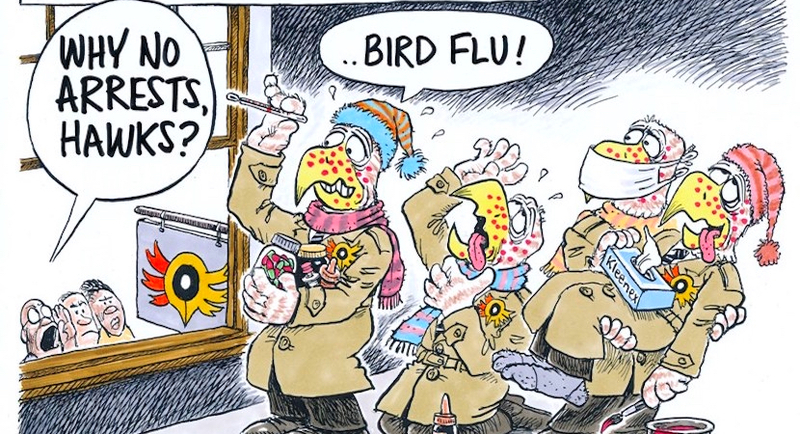 It is notorious that the Hawks have never successfully investigated and presented a case that has been successfully prosecuted against a high-up, well-connected and crooked politician, civil servant or business person. Their structure and operational capacity militate against their success. The Hawks have even been abused to persecute those involved in preventing corruption, like Pravin Gordhan, Glynnis Breytenbach, Johann Booysen, Anwa Dramat and Robert McBride. The great powers could draw the attention of our law-makers to the success of the Scorpions and to the weaknesses that led to their demise due to their lack of security of tenure of office. The Scorpions, successful as they were, could not survive the onslaught of the Zuma-led cadres who sought hegemonic control over the anti-corruption machinery of state and could not tolerate the independence of action of the Scorpions. Sadly, the Scorpions were a mere creature of statute. A simple majority in parliament created them and a simple majority was able to dissolve them and replace their functional capacity with the all but useless Hawks. This bind should be avoided when cleaning up our act by “joining hands to cleanse” the country of the corrupt as our President has put it. The great powers could also alert the law-makers in the legislature and executive branches of government to the requirements laid down by the Constitutional Court for effective and efficient anti-corruption machinery of state. These requirements have been honoured in the breach during the nine seriously wasted Zuma years. The rulings of the Court should be revisited and properly implemented. This may require a small constitutional amendment and will certainly require remedial legislation. They are based on the research of the OECD and accordingly, the great powers are well-placed to encourage interaction on the proper implementation of a structure for fighting corruption that is not blighted by the current capture or partial capture of our criminal justice administration. The clutch of commissions currently churning out daily revelations of malfeasance in the corridors of power, in the procurement chains of the public administration, in the funding of politically dominant parties, in the subversion of the criminal justice administration and in the capture of police management, all serve to emphasise the urgency of the situation. There is a dire need to move swiftly to prevent a catastrophe in which investment (whether foreign or local) will dry up completely, taxes will be insufficient to pay social grants to 17m poor fellow citizens and job creation will be replaced by job shedding faster than Eskom can load shed. As long ago as 2011 the Constitutional Court, in the second Glenister case, sounded a trenchant warning to the powers that be and to the people of SA. “There can be no gainsaying that corruption threatens to fell at the knees virtually everything we hold dear and precious in our hard-won constitutional order. It blatantly undermines the democratic ethos, the institutions of democracy, the rule of law and the foundational values of our nascent constitutional project. “All South Africans across the racial, religious, class and political divide are in broad agreement that corruption is rife in this country and that stringent measures are required to contain this malady before it graduates into something terminal. As the process of “graduating into something terminal” due to rampant corruption is at an advanced stage, it is now sufficiently urgent to stir the great powers into doing more than merely firing a warning shot across SA’s bows. It is worth noting that the Constitution means what the courts say it means; and that, accordingly, the state is bound by the requirements spelt out by the chief justice in the second passage quoted above. 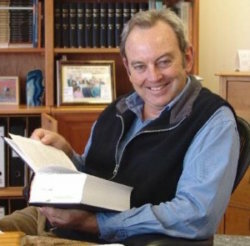 Finally, if so advised, the great powers could draw the attention of policy-makers in all political parties to the draft remedial legislation and constitutional amendment on the Glenister case page of the website www.accountabilitynow.org.za with a view to giving serious and overdue consideration to the establishment of an Integrity Commission under Chapter Nine of the Constitution as the best practice solution to the serious threat to the future of the nation which corruption with impunity currently poses. It will take years to fix the mess in the NPA and the Hawks – a fresh start is what is required. The brave diplomats from the “great powers”, as they are called in the Sunday press, have seen the need for action and have acted boldly to urge action. Do the President and his close advisors have the necessary political will to take charge of the situation and remediate it? Time will tell. At this stage the indications are not propitious.